The theme for the John Paulding Historical Society's Festival of Trees is "A Gingerbread House Christmas." 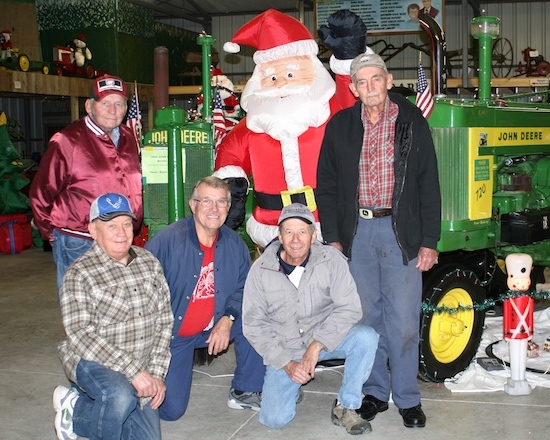 PAULDING – This year’s annual Festival of Trees at the John Paulding Historical Society museum promises to be a real crowd pleaser with a total of five days of meals, entertainment, decorated Christmas trees, silent auction and more. 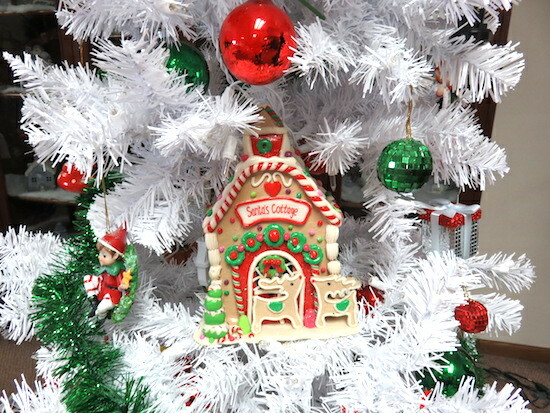 This year’s theme is “A Gingerbread House Christmas.” The dates are Nov. 9-11 and Nov. 16-17. The museum is located across the street from the fairgrounds in Paulding. The doors open at 5 p.m. this Friday, Nov. 9, with a free-will donation spaghetti supper. The Oakwood Community Band will perform at 6:30 p.m. In the main museum and two barns, see dozens of beautifully decorated trees, plus displays of nativity scenes, holiday collectibles, inflatables and decorations to help get you in the holiday spirit. Be sure to vote on your favorite tree by placing a monetary donation in the jar beneath the tree. Also, bidding begins on the silent auction items and will continue through the festival. Be sure to purchase tickets for the Weidenhamer/Borkosky Ohio State raffle. On Saturday, Nov. 10, chili soup will be served from 11 a.m.-1 p.m. and from 5-7 p.m. Also, see Joe Allen in Barn Two with his flying airplanes. Sunday, Nov. 11, Brunch will be served from 11 a.m.-1 p.m. Pancakes and sausage, breakfast casseroles, fruit and rolls are on the menu. The festival will continue for a second weekend. On Friday, Nov. 16, doors open at 5 p.m. for a bean soup and cornbread supper. The big day for the kids will be Saturday, Nov. 17, with doors opening at 10 am for the Kids’ Day Extravaganza and final day of the festival. Events will include the popular Mouse Hunt, Gingerbread House decorating contest, letters to Santa station and visits with Santa and Mrs. Claus. Kids Christmas Carnival with games and activities will be held in Barn One. Joe Allen will be in Barn Two with his flying airplanes. Walking tacos will be served from 11 a.m.-1 p.m. Saturday. The evening meal will feature beef and noodles, mashed potatoes, green beans/corn and hot rolls from 5-7 p.m. Winners will be announced for the Judges’ Choice on top three trees that most closely reflect the Gingerbread House theme. Silent Auction winners will be announced and the Ohio State Raffle winner will be drawn. The Festival of Trees is an event your family won’t want to miss. The 2017 Festival of Trees was enjoyed by about 2,400 visitors.